The First World War spy and exotic dancer Mata Hari was executed because she was a perfect scapegoat for the French rather than the presence of hard evidence, according to an expert from City, University of London. Dr Julie Wheelwright told a City event the Dutch performer was not fairly tried by the French authorities, who accused her of being a double agent for the Germans, despite having little evidence to back up their claims. 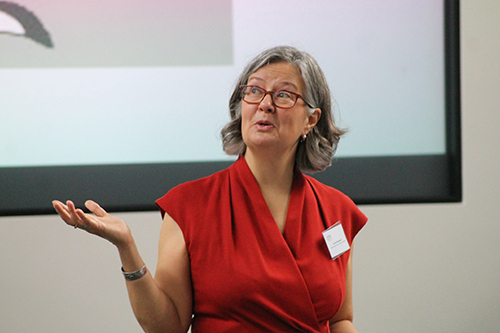 The academic was speaking at a special symposium held to mark the life and legacy of the spy 100 years after her death. Dr Wheelwright explained that newly discovered letters and intelligence files reveal the ways in which Mata Hari reinvented herself into a celebrity dancer in Paris and later fell into intelligence work. Mata Hari (born Margaretha “Gretha” Zelle) may have entered the world of espionage as early as 1914 when she accepted a significant sum of money from a German military attaché in Amsterdam, in exchange for helpful information she could gain in Paris. However, after traveling back to France she was also contacted by the French intelligence services and agreed to work for them, too. “In her mind, she is now a double agent,” said Dr Wheelwright (pictured right - image credit: Virginia Mayo / Associated Press). The French later became suspicious of Gretha, as a result of her communication with German contacts, and she was arrested in London, and later Paris, before eventually being shot by a firing squad on 15th October 1917. Dr Wheelwright argues the dancer slipped up because she did not initially tell the French that she had previously agreed to work for the Germans, and her subsequent claim that she took their money and ran was not believed. The expert told the City symposium that Gretha in some ways appeared to have embarked on an “amateur adventure into espionage” without fully realising the risks, but said there was verifiable evidence from German sources to show she had given information to German intelligence. “From her testimony, Mata Hari either failed to understand the basics of spying or refused to obey orders,” said the City academic. In her testimony to French authorities, Gretha claimed she had no intention of following through with any spying for Germany, and her contact with officials was part of her work for France. But Dr Wheelwright argues this was not believed, in part because of popular fears at the time about female spies seducing military men in order to extract information for the enemy. Gretha was not aware of such suspicions and described herself as an “international woman” – having travelled between Germany, the Netherlands, UK, France, Spain and Switzerland during the war. “She was completely unaware of its dangerous associations with her accusers,” explained Dr Wheelwright. The City expert also claims Gretha, a single mother, was desperate for money – something that had driven many of her actions following her legal separation from her Dutch husband before the war. She arrived in Paris in 1902 to find employment that would support her daughter, who was with family in the Netherlands. And over the next 15 years, she had various jobs and later became a courtesan, working with powerful figures including German and French officials. Dr Wheelwright argues Gretha’s downfall was her confidence that she could reinvent herself in the male-dominated wartime sphere of military intelligence. “Mata Hari made the mistake of writing her own rules and expecting the world to play along,” she concluded. The symposium, on Saturday 28th October, welcomed historians, biographers, academics, museum curators and members of the public to hear a series of talks about Mata Hari, whose life as the original femme fatale has been surrounded in myth. 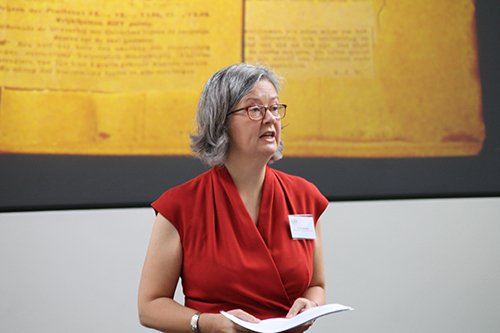 Dr Julie Wheelwright has been researching the spy and the role of women in military intelligence for more than 25 years, first writing about Mata Hari in the 1992 biography The Fatal Lover: Mata Hari and the Myth of Women in Espionage. 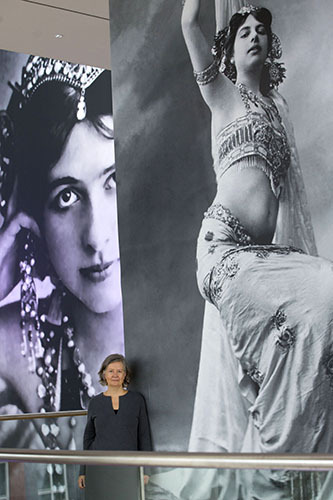 The City academic, who is programme director of the MA Creative Writing (Non-Fiction), was a keynote speaker at the opening of a new exhibition about Mata Hari on the centenary of her death, at the Fries Museum in the town of her birth, Leeuwarden.